In many respects, bread is a product of contradictions; it is both humble and ethereal, natural and manmade, unique and commercialized. Bread exists in every culture, from Indian naan to German pretzels, New York bagels to French baguettes. From the modest ingredients of flour and water comes a nutritious and filling product. 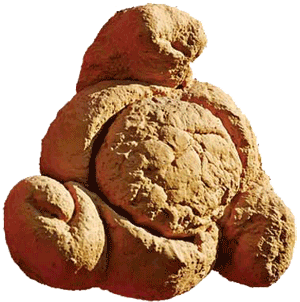 Bread represents the culmination of all of the elements; grain from the earth, water, air kneaded in, fire to bake. From these elements comes a miraculous display of abundance and prosperity. It is no wonder, then, that creatives of all kinds have turned to bread as the subject and featured material of their work. More of Dalí’s work before and after Retrospective Bust of a Woman included bread. Several paintings including The Madonna Port of Lligat and Gradiva Becoming Fruits, Vegetables, Pork, Bread, and Grilled Sardine use bread in a similar manner. 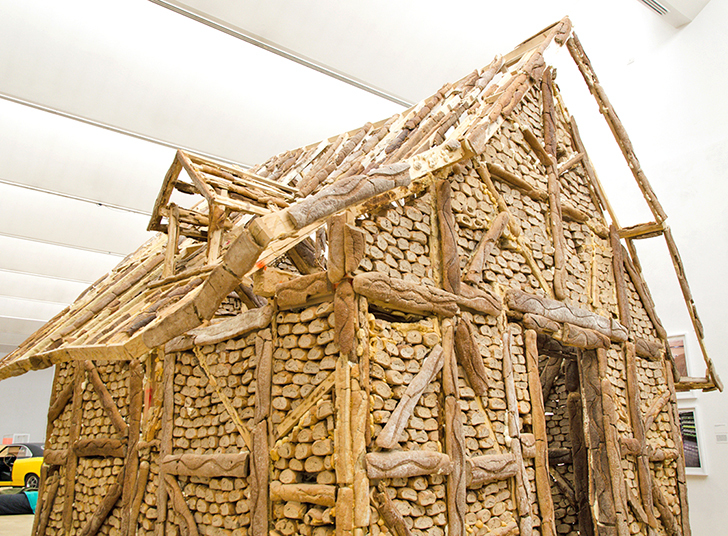 In 1969, Dalí commissioned Lionel Poilane to make him a bedroom suite entirely out of bread. 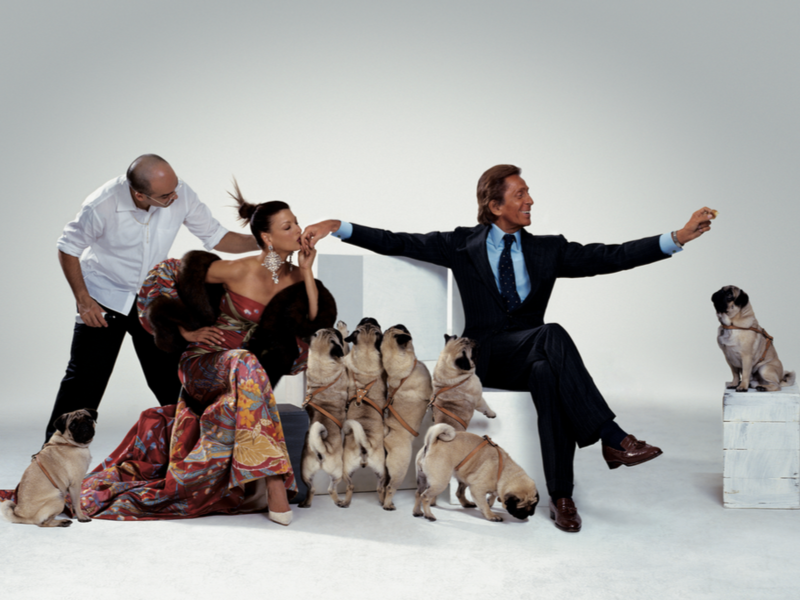 Dalí wanted to see if he had mice. 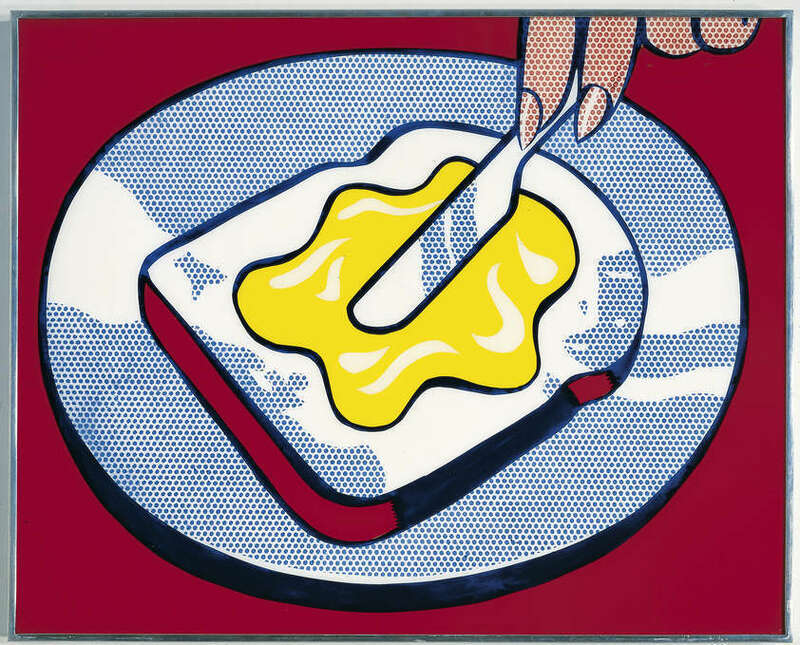 When pop art developed in the 1960s, it often used food to express many of the core ideas of the genre. 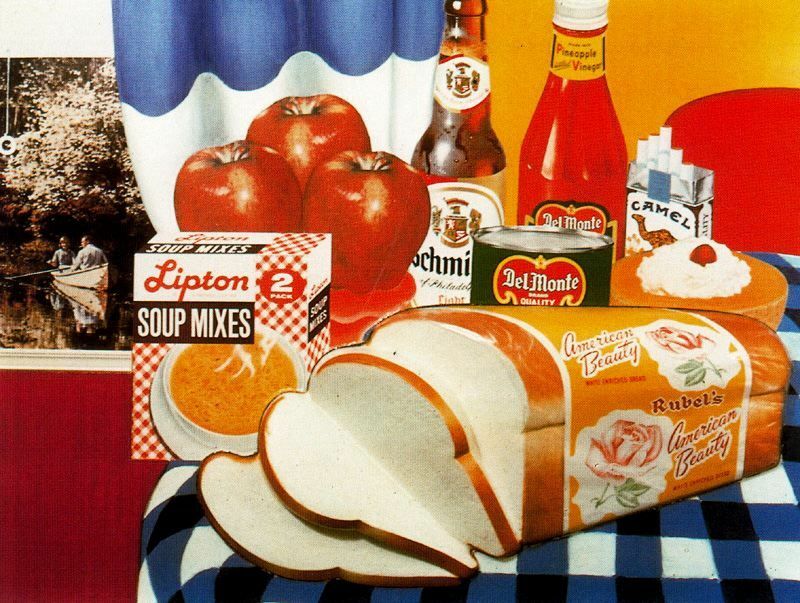 Tom Wesselmann, Claes Oldenburg, and Roy Lichtenstein, all used bread as a motif in their work. 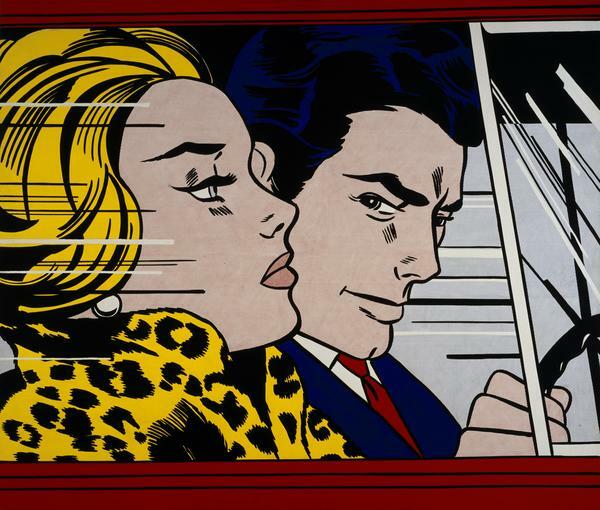 This use of everyday, middle-class products does a number of things; first, like much of pop art, it pushes back against the self-serious established art world, focusing instead on humor and playfulness. 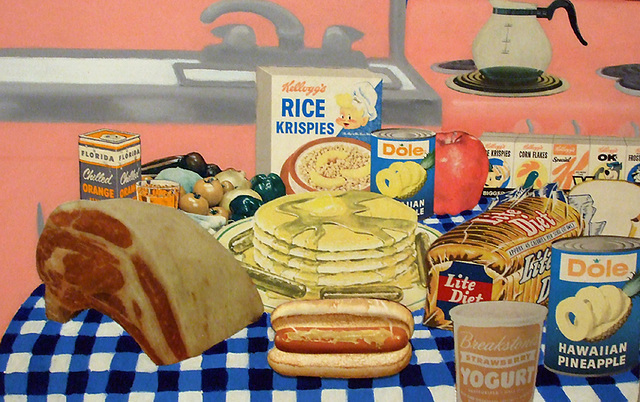 The food featured, like pop art itself, is often the product of mass production. 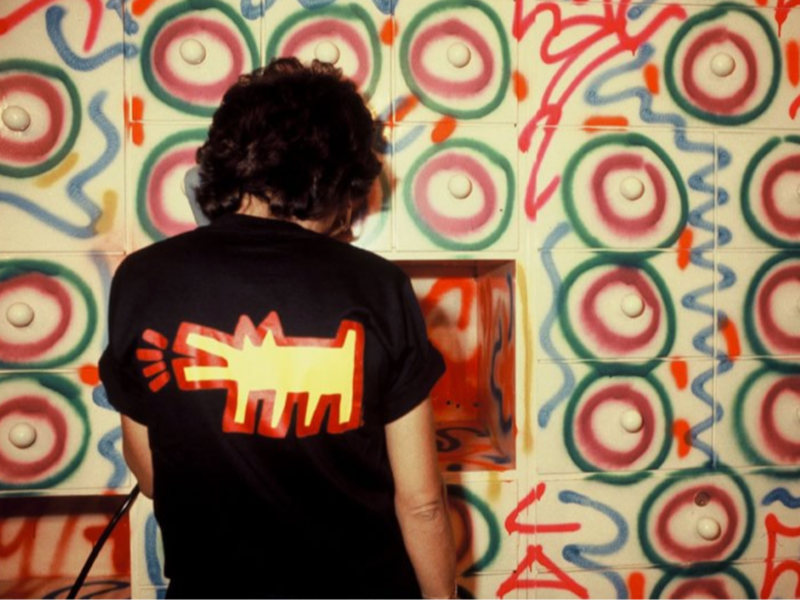 These everyday products that most Americans could easily access become a metaphor for the pop genre; they comment on ideas of craft versus execution, and who and what can be art, thus helping to equalize and democratize the art world. 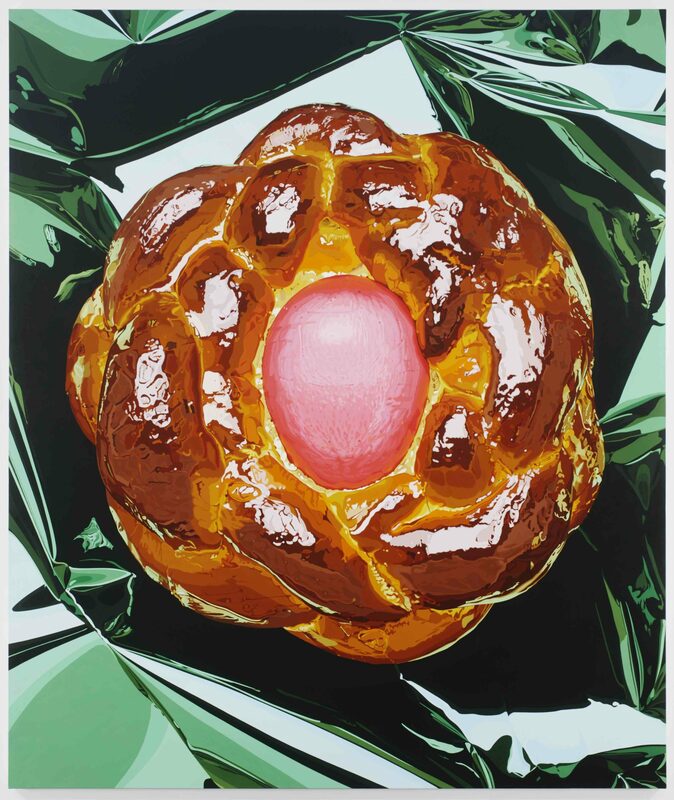 Contemporary, post-modern artist Jeff Koons took a hint from the pop artists for his Bread with Egg painting and sculpture, the former, which also harkens back to tradition of still life painting. 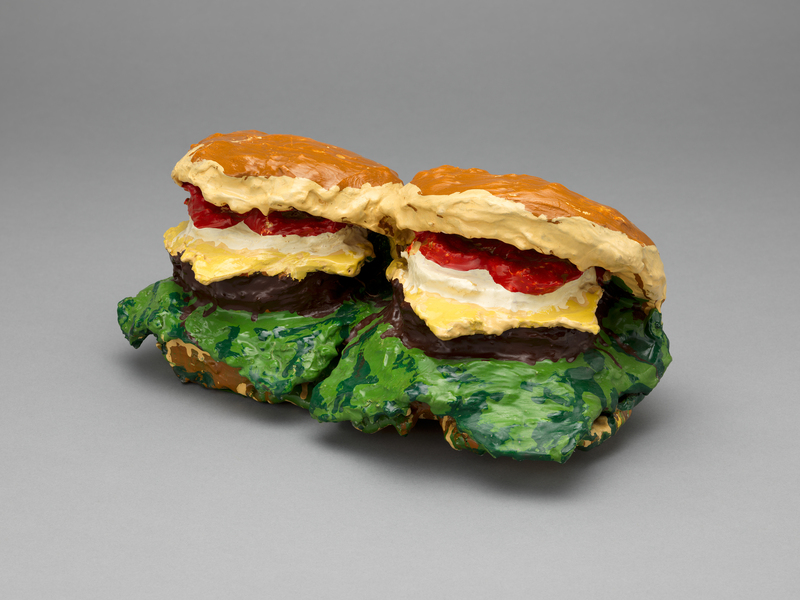 Like with the previous pop art examples, Koons’ works are both personally and nationally appealing. 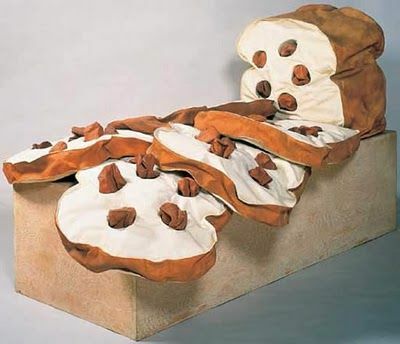 Fashion houses, too, have taken interest in bread and its various connotations. Dolce and Gabbana’s Spring/Summer 2017 collection featured an elegant rococo-adjacent print that, upon closer view, is made up of rings and loaves of bread, decorated with sprigs of wheat and flowers. 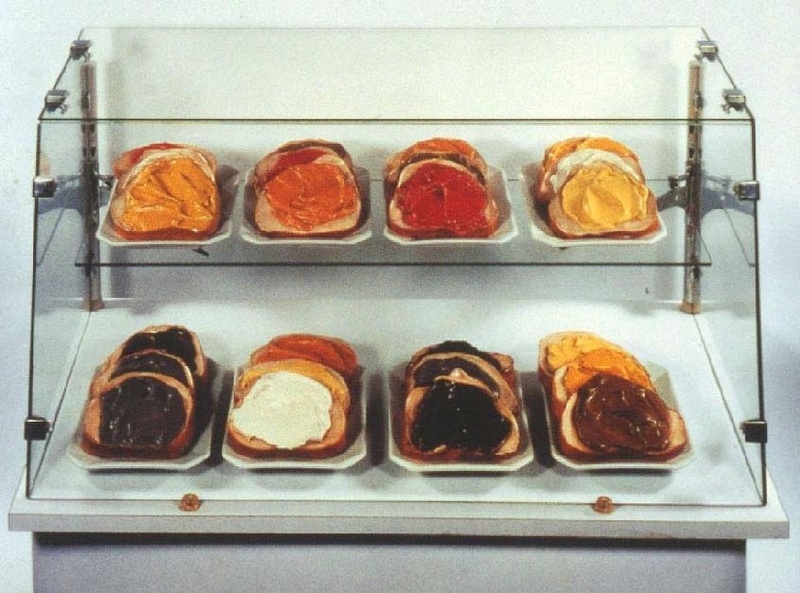 In this sense, bread is taking an elegant and ethereal role, while also reading as playful in the context of the collection’s garments. In 2004, Jean Paul Gaultier exhibited “Pain Couture,” an art installation and fashion collection all in one. The exhibit took place at the Cartier Foundation in Paris. In lieu of garments, Gaultier adorned his mannequins in dresses made of bread, putting his mastery of craft and material on full display. 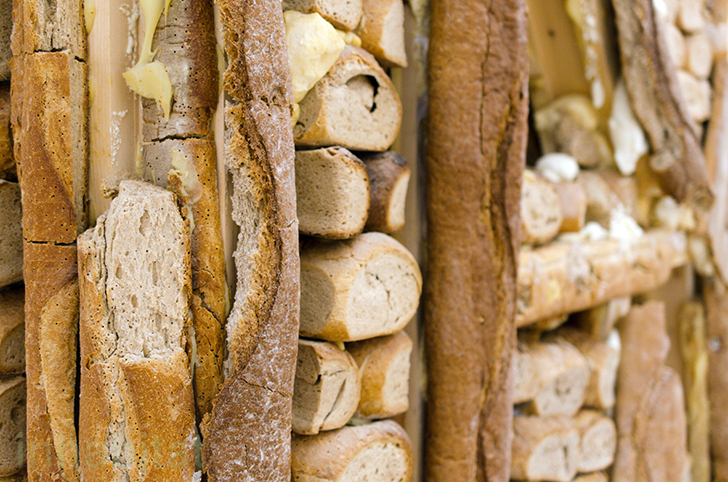 The exhibit space was equally decorated in baguettes, buns, and bountiful loaves. 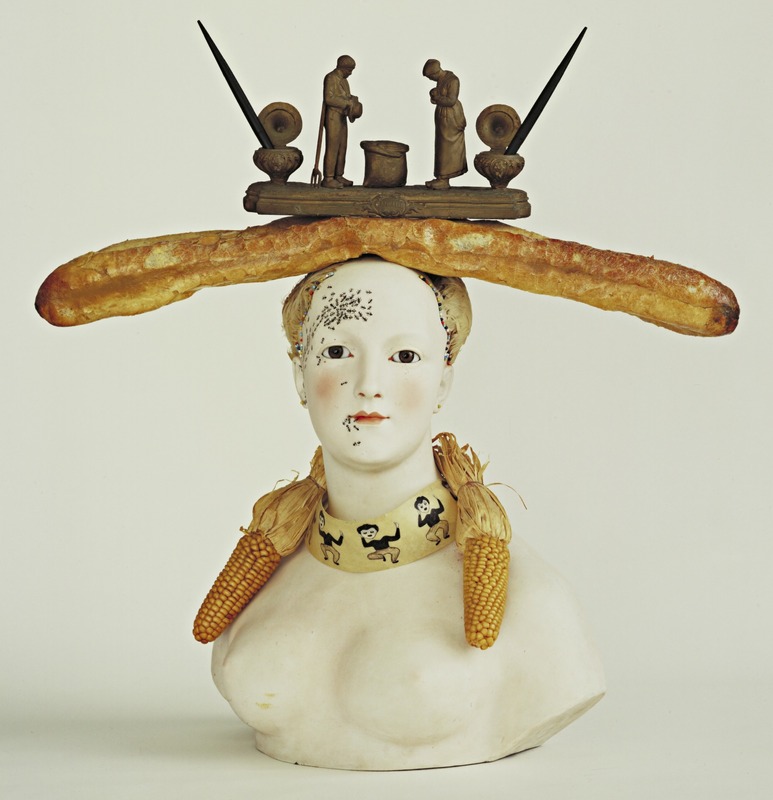 The realism of bread and the fantasy of fashion are in dialogue here, the scene surreal and humorous yet sophisticated. 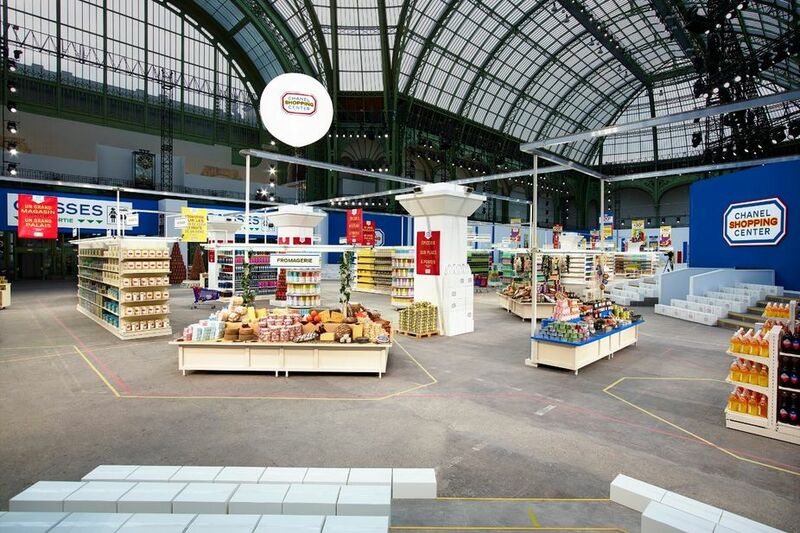 At Karl Lagerfeld’s 2014 Fall/Winter show for Chanel, a luxe supermarket set the stage. 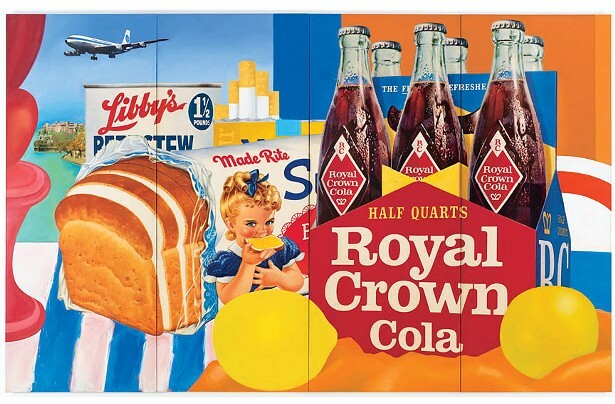 Like much of fashion’s interaction with food, a play of high and low was at work. 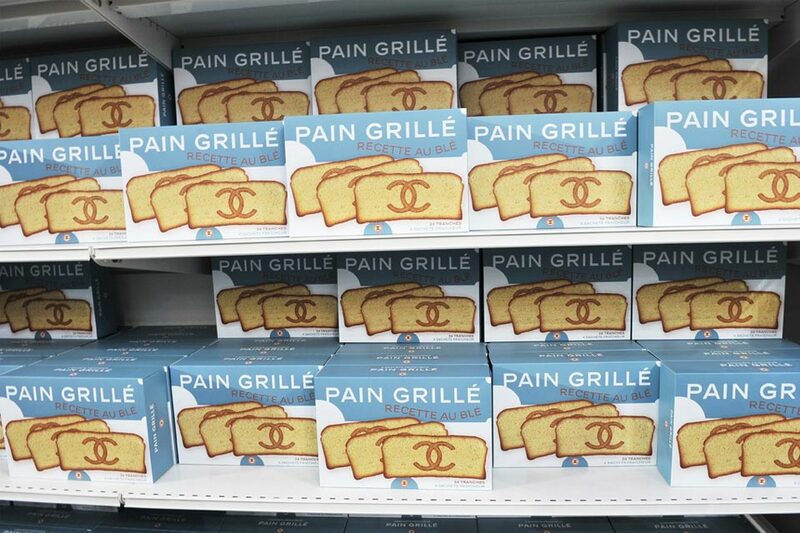 Grocery baskets, pasta, and — of course — boxes of bread labeled with the signature Chanel double-C. Signs and labels reference tidbits from the house’s history: images of Coco Chanel, chain handbag straps, and “Elsa’s black rice” – in reference to Elsa Schiaparelli – are all in contrast with the generic products that fill the supermarket’s shelves. 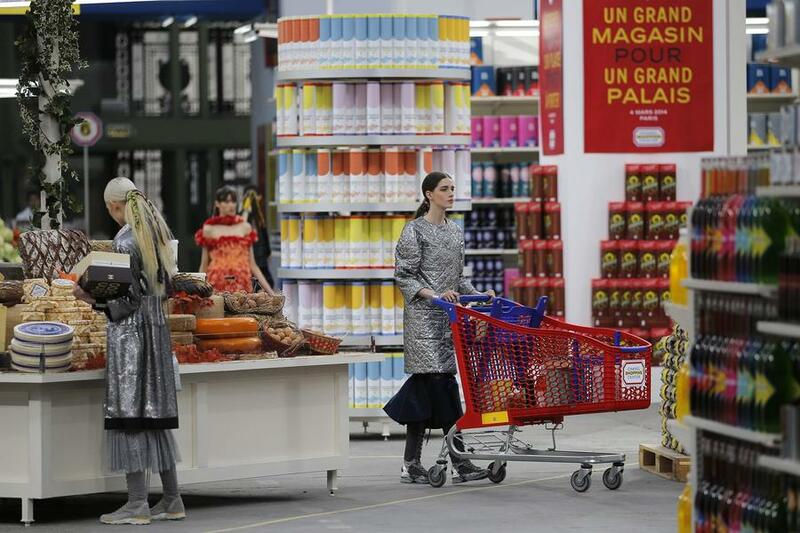 Much like pop art, Lagerfeld’s show considers the mass-produced. 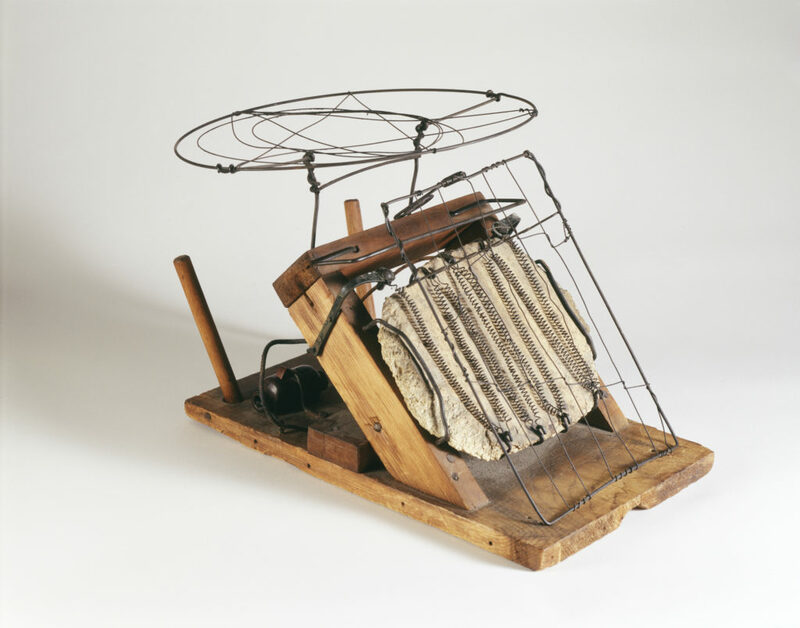 The connection between Chanel and bread is fitting beyond Lagerfeld’s interpretation; Chanel herself had a wheat table that was gifted to her at her 31 Rue Cambon apartment. 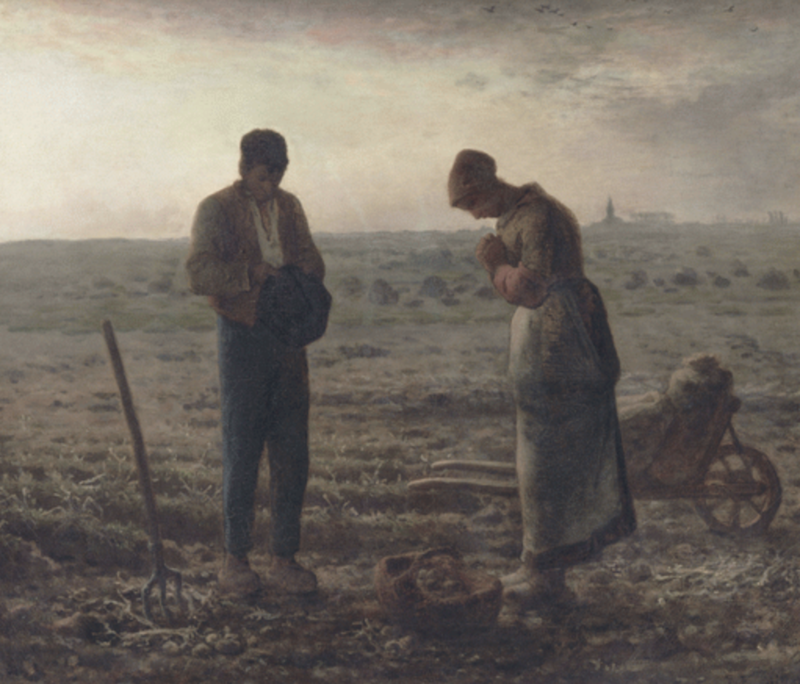 She believed wheat to be a symbol of luck, wealth, and prosperity due to its rich history. Despite the fact that there seems to be no information on the original designer, the design was popularized by Chanel’s ownership and is reproduced today. 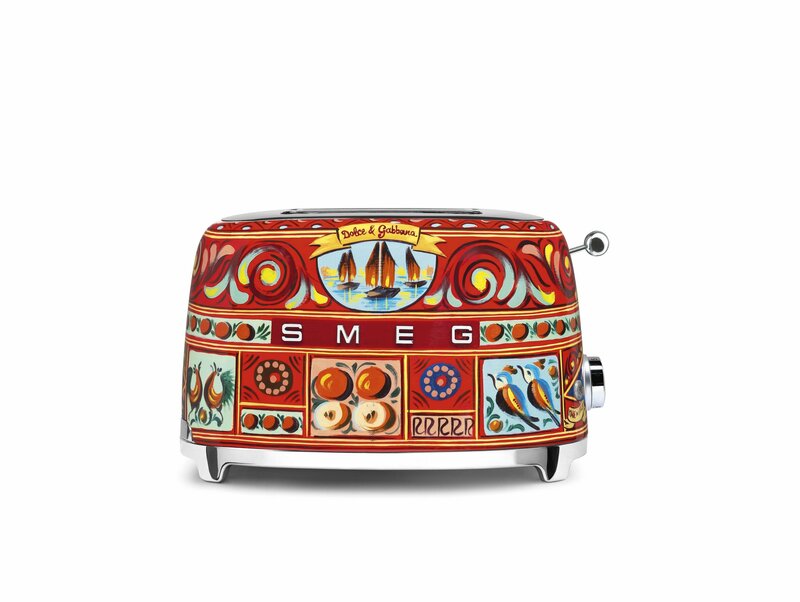 In more recent years, Dolce and Gabbana partnered with SMEG, and Italian manufacturer of domestic appliances – to make a set of kitchen appliances, including a toaster, for their Sicily is My Love collection. The retro-looking gadgets were decorated with classic Sicilian imagery including citrus fruit and sailboats. 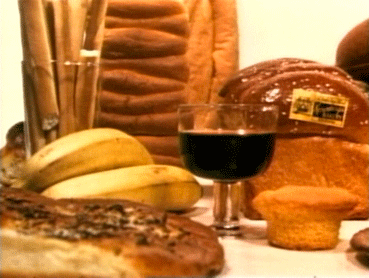 Similarly, industrial designers Ray and Charles Eames have taken an interested in bread, noted in their 1953 short film Bread, although not much is known about the inspiration behind the film, the short depicts whimsical scenes of piled high carbohydrates and hands interacting with bread. 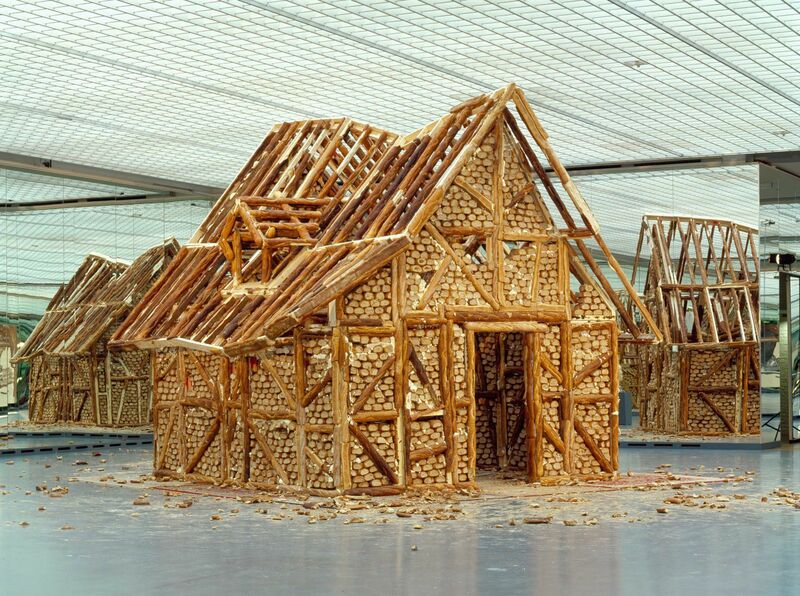 Due to its short shelf life, architecture relating to bread has mostly been relegated to artists. 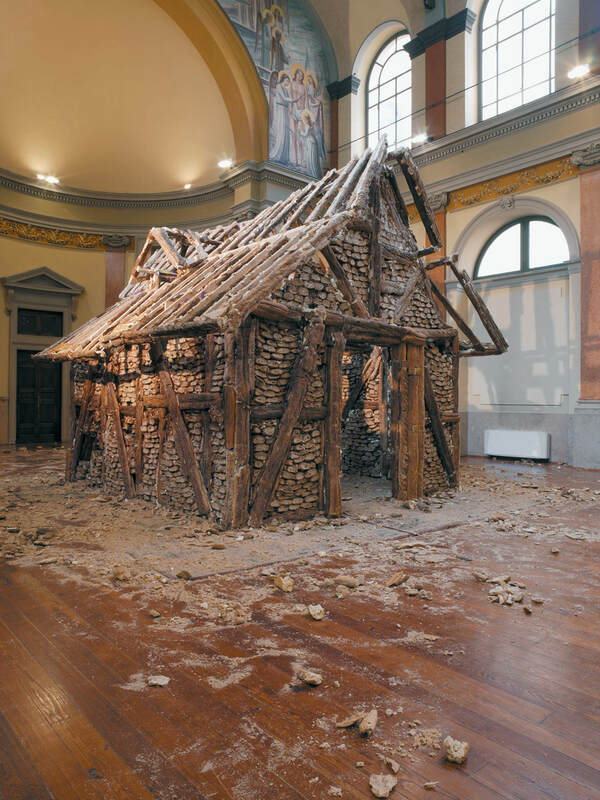 Urs Fischer’s 2004 Untitled “Bread House” is one such example. 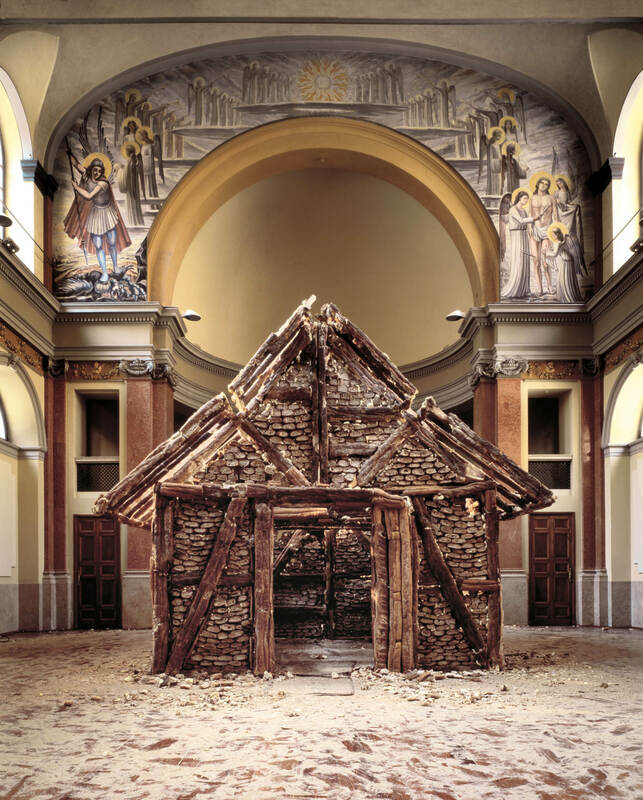 Fischer’s works often consider untraditional materials that can be difficult and unpredictable to work with, finding beauty in imperfection. 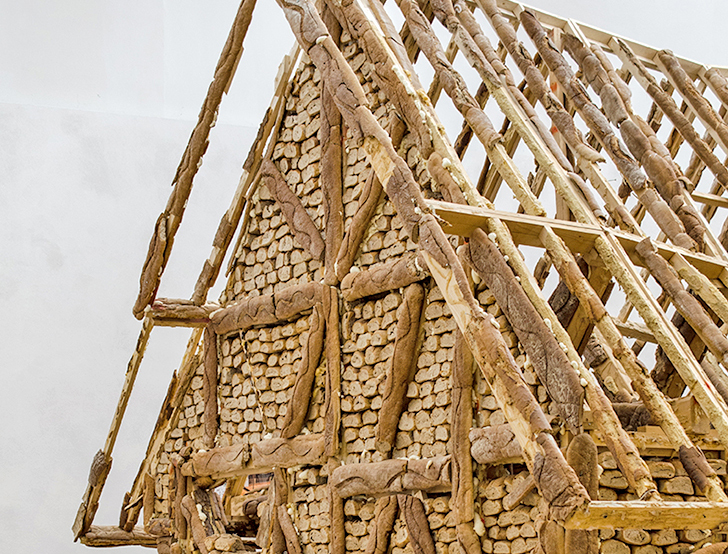 Bread House is a life-sized cabin made of loaves of bread, wood, and screws. In some versions of the piece (there are three) live parakeets inhabit the cabin and viewers can watch it slowly decay to crumbs. 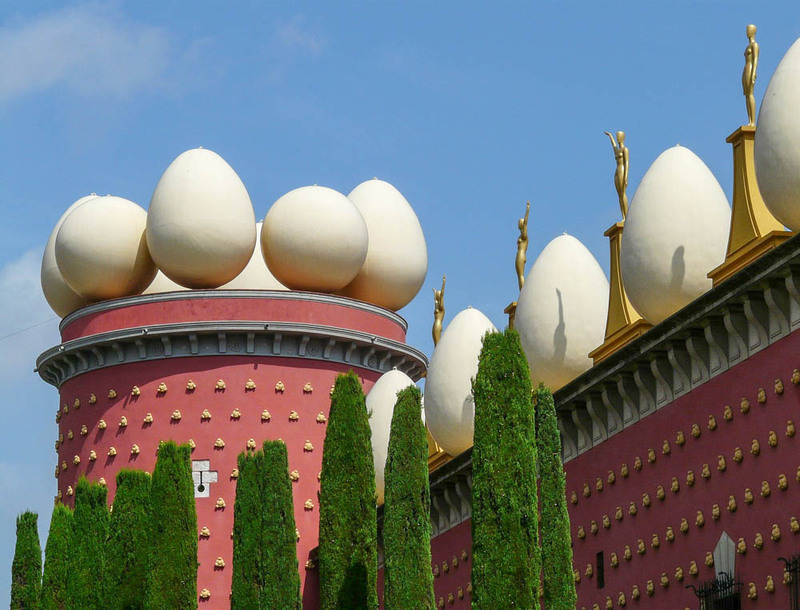 Salvador Dalí’s theater and museum, under which he is buried, is decorated with loaves of bread on the façade of the building, signifying abundance in much the same way as Chanel’s wheat table. 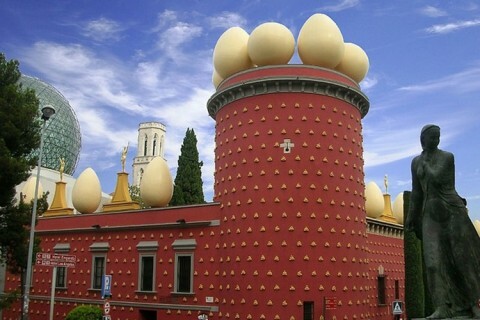 Giant egg decorations on the roof symbolize fertility and rebirth. 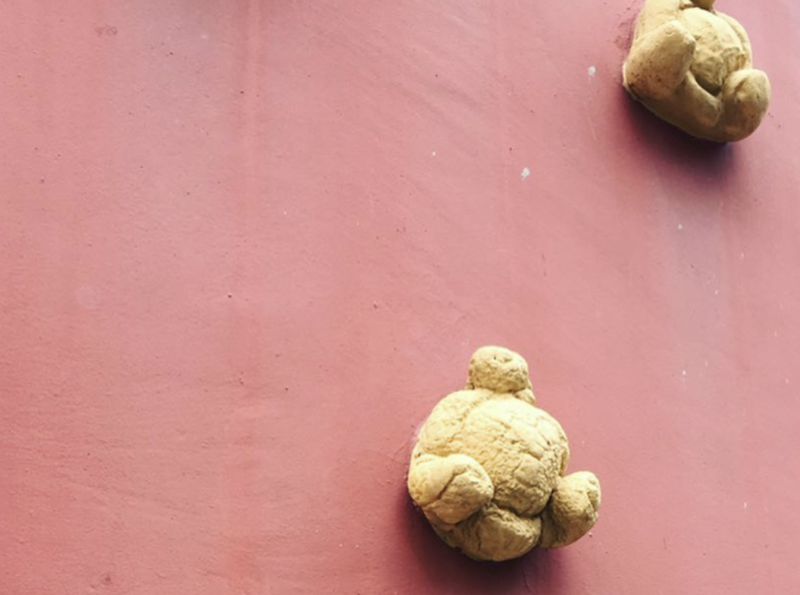 It is an appropriately whimsical and surreal place for an artist like Dali to rest.